The taxpayer is picking up lawyers’ bills in the region of half a million pounds, freedom of information questions reveal. An invitation-only funeral service was held in Liverpool before people gathered to pay their respects publicly in Walton Lane. 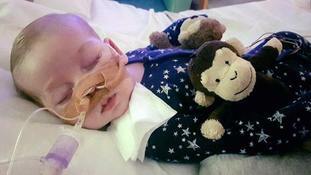 The private funeral for the 23-month-old, who had a degenerative brain disease, will be held in Liverpool. Chris Gard and Connie Yates endured a similar experience last year when they lost their legal battle. Connie Yates wants a ‘Charlie’s Law’ which will prevent parents ‘experiencing painful and prolonged conflicts with medical professionals’. The boy’s father Tom Evans thanked supporters and said he wants to form a relationship with Alder Hey hospital. Three Court of Appeal judges are analysing the latest stage of a life-support treatment dispute.